Log in to your RedTrack account, choose the Traffic Sources tab and click the New button, scroll the list down then click Add choosing PropellerAds.com traffic source. RedTrack will pre-populate all the necessary traffic source settings. 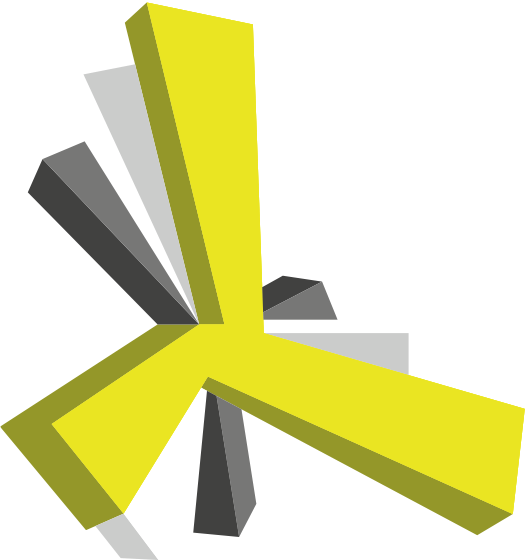 Don’t forget to change “[REPLACE]” to your IDs from postback URL that we created in Step #1 and it can be found on the Tracking screen in your PropellerAds advertiser’s account. Please note, you need to insert your actual aid & tid, otherwise, your conversions will not be tracked correctly! After completing all replacements, click Save to store your PropellerAds settings in RedTrack (if you want to make any changes - select your traffic source from the list and click the Edit button). To get notified about conversions from affiliate network you need to generate the Postback URL on RedTrack containing the "CLICK ID" and add it to the affiliate network's panel. Please refer RedTrack Knowledge Base to find out how to add affiliate networks, offers and generate the postback URLs. 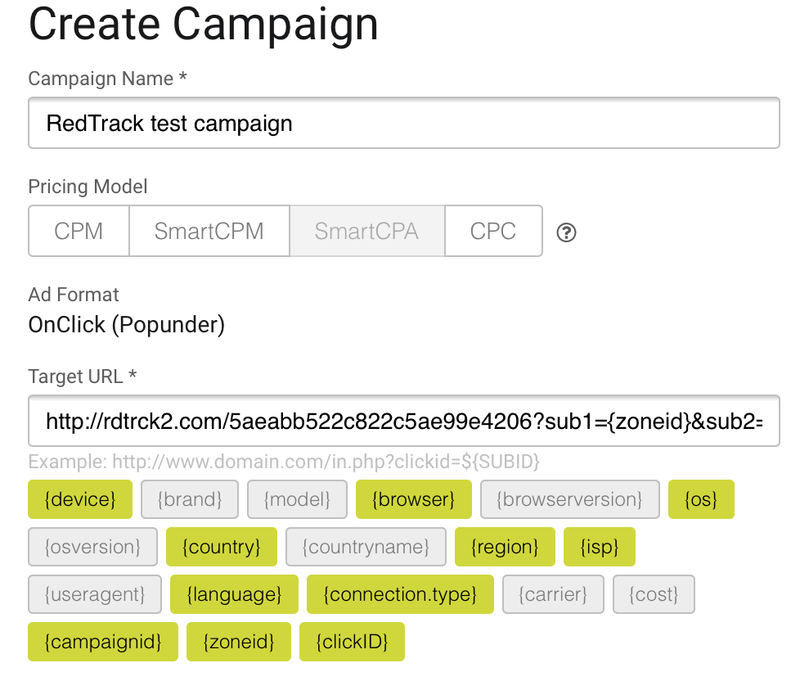 Once you get your RedTrack’ Postback URL, paste it into your affiliate network panel to pass data about conversions from affiliate network to RedTrack. Select "PropellerAds" as the Source and dill out all other mandatory fields. Please refer the manual to find out information regarding all required settings. 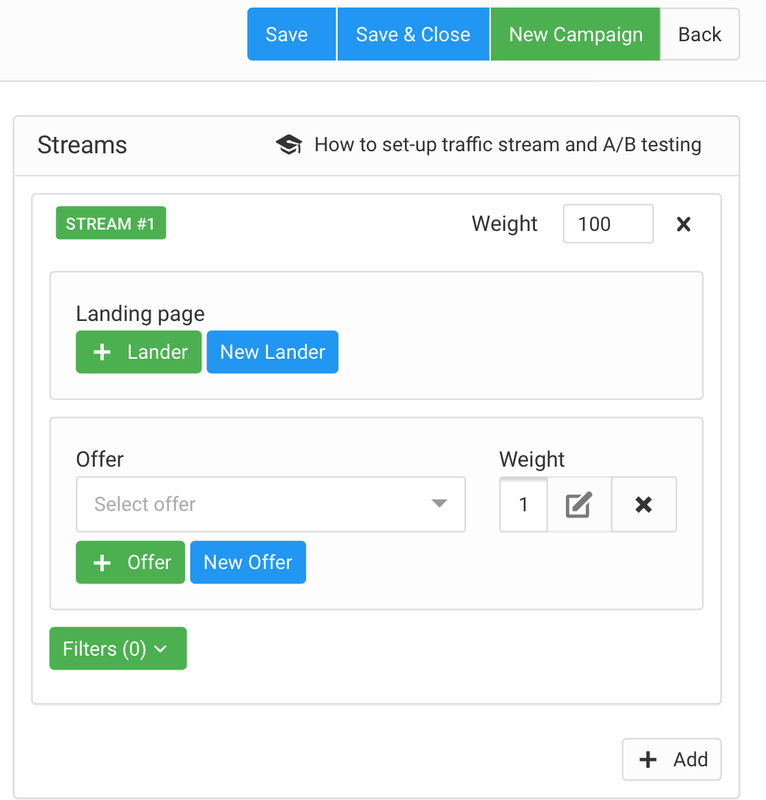 This will create a new campaign within the campaign's list and also generate the Campaign URL needed to direct traffic to. 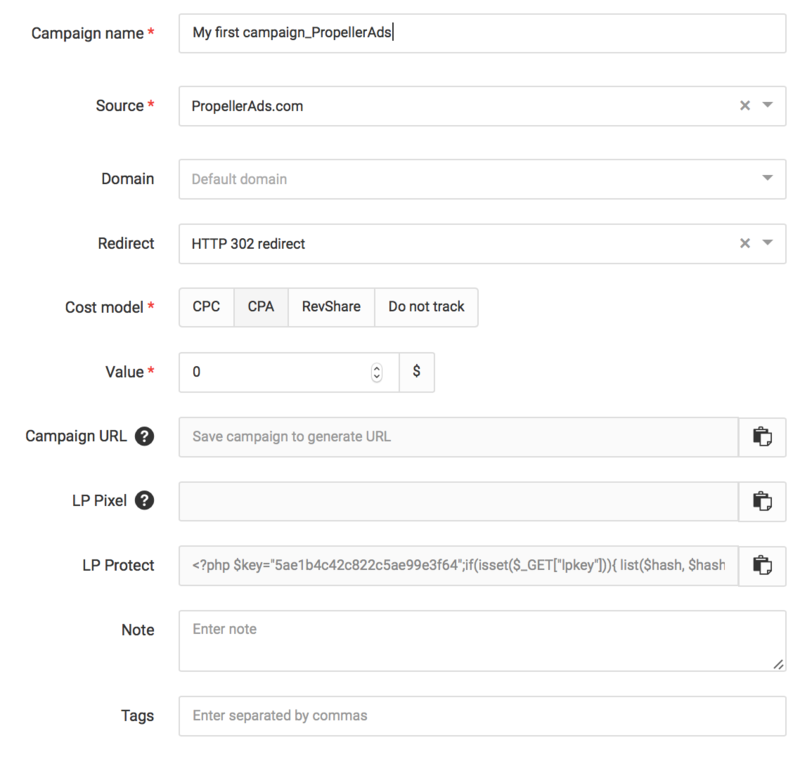 Paste the Campaign URL with all parameters from RedTrack campaign settings and paste it as Target URL for your campaign on PropellerAds. If you are experiencing any problems setting up the S2S conversion tracking - please contact us via the Support tab in your account or refer to the manual accordingly.